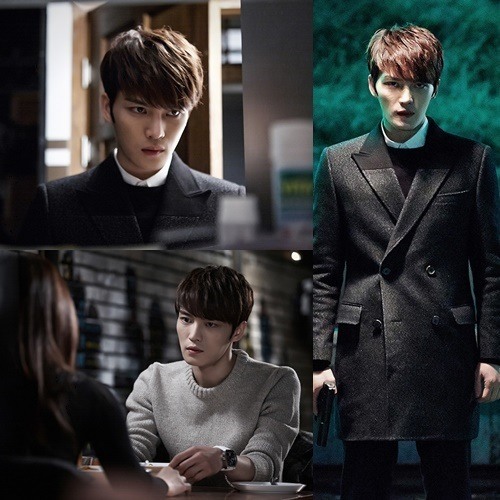 Kim Jae-joong transforms into a man who will stop at nothing to protect his loved ones in the KBS drama “Spy” on Friday. In the latest episodes Kim’s character Kim Seon-woo, an elite National Intelligence Service agent, protects his love, his family and his country in his own way. In the episodes, he volunteers to become a double agent when his mother is blackmailed into becoming a spy. And when his girlfriend, played by Ko Sung-hee, is kidnapped, he steals a hard disk for Hwang Ki-chul, a North Korean spy played by Yu Oh-seong. He even fights off his fellow NIS agents to deliver the information to Hwang. However, when it is revealed that his girlfriend is a spy planted by Hwang, Kim’s character goes on to recover the disk from the North Korean master spy. Two 50-minute episodes of “Spy” are aired back-to-back every Friday. This entry was posted in Acting, Dramas, INFO, JYJ, Kim Jaejoong, Momma's Boys, News, Pictures, Promotions, The Arts and tagged "Spy", drama, info, JYJ, Kim Jaejoong, National Intelligence Service, pictures by chaelwest. Bookmark the permalink.